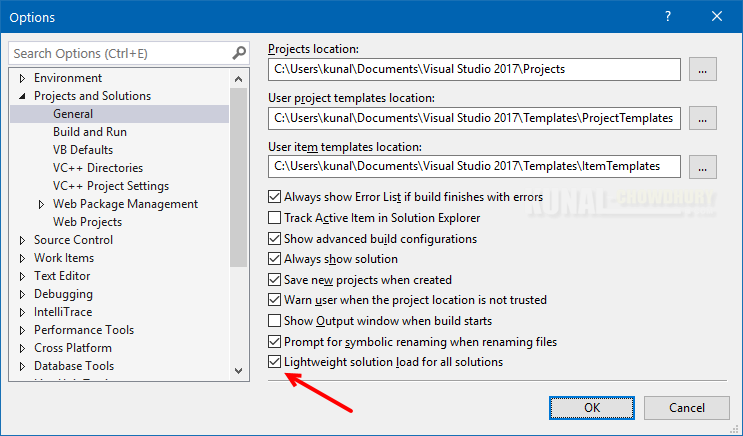 Lightweight solution loading is a new concept in Visual Studio 2017, when enabled, Visual Studio loads a small subset of the projects instead of loading all the projects available in a large solution. Thus, it loads solutions twice faster. You need to manually enable/disable this feature. But in version 15.3 and above, you can ask Visual Studio to decide whether to enable it or not. Let's discuss the steps. When you load your solution in Visual Studio 2017, it remembers the projects that you earlier opened. Based on that, the Lightweight Solution Load feature works and when enabled, it loads only those projects. Rest of the other projects stays unloaded, but visible in Solution Explorer. On demand base, when you expand the project or right-click on it, Visual Studio automatically loads it. Automatic loading takes less than a second, but in few cases it may take longer. Once it gets loaded, Visual Studio remembers that selection and auto-loads those projects in the next run. 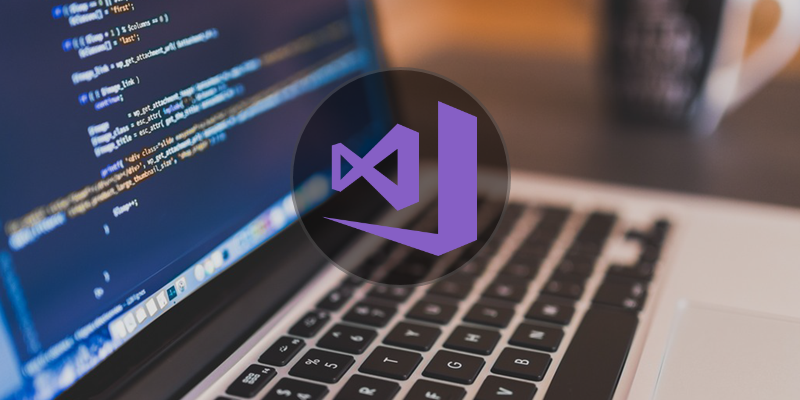 To turn ON/OFF this feature, you can navigate to Visual Studio menu item: Tools | Options..., which will open the Visual Studio options dialog. Navigate to Projects and Solutions | General to access the settings related to Lightweight Solution Load feature. 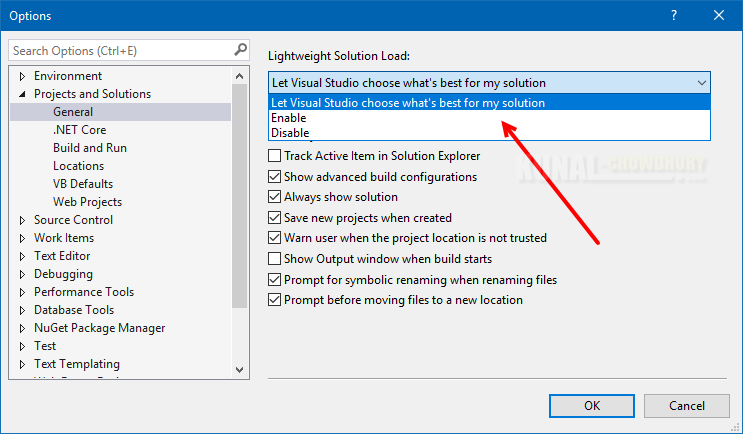 If you are using Visual Studio 2017, prior to version 15.3, you will find a checkbox labeled Lightweight Solution load. Check/Uncheck this option to enable/disable the feature. Hold a minute! If you are using version 15.3, Visual Studio 2017 now adds a dropdown to select one of the three values: Let Visual Studio choose what's best for my solution, Enable and Disable. When you select Enable, it will force Visual Studio to enable this feature. On selecting Disable, lightweight solution loading will not be enabled. The other entry Let Visual Studio choose what's best for my solution will ask Visual Studio to automatically decide whether to enable this feature or not, based on heuristics. By default, Let Visual Studio choose what's best for my solution option is selected and Visual Studio turns on this feature for all users. If you have multiple solutions, it offers you this feature for solutions that are most likely to see significant performance gains. If you have come this far, it means that you liked what you are reading (Visual Studio 2017 can now decide whether to enable Lightweight Solution Load).